The infamous Tower of London. If you’re really into the history of London it’s definitely a must see museum. I’d highly suggest getting the audio guide you can rent for 4 pounds, which you can find after you walk through the first gate. 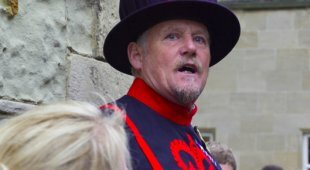 There also the Yeoman guides you can follow. You should probably do this first. Without this manned guide you cannot enter the churches unless you’re going to the churches to attend service.